We often get asked what maintenance is required for Solar Photovoltaic systems. In reality Solar Photovoltaic systems require little to no maintenance and are highly reliable. Over their lifetime all Solar Panels very gradually decline in efficiency, but you should expect a 25 year plus lifetime. The solar panels that we install are guaranteed for 90% efficiency over 10 years and 80% efficiency over 25 years. Note that the inverter component carries a 5 year guarantee, but can be extended up to a maximum of 25 years. We highly recommend that you monitor the output of your solar panels over time so you can spot any problems as they occur – we can fit a piece of equipment called a WebBox which allows you to view the current performance of your solar panels as well as looking at performance over time, all online – even possibly on your smartphone! Your system can even be monitored remotely from our office, allowing us to check the correct operation of your system – ask for details. Solar Panels do not need cleaning when they have a slope angle of greater than 15 degrees: the rain hitting them should wash off any dust or dirt. 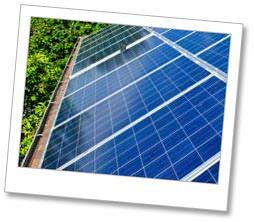 Contact us now to find out more about how to look after Solar Panels.